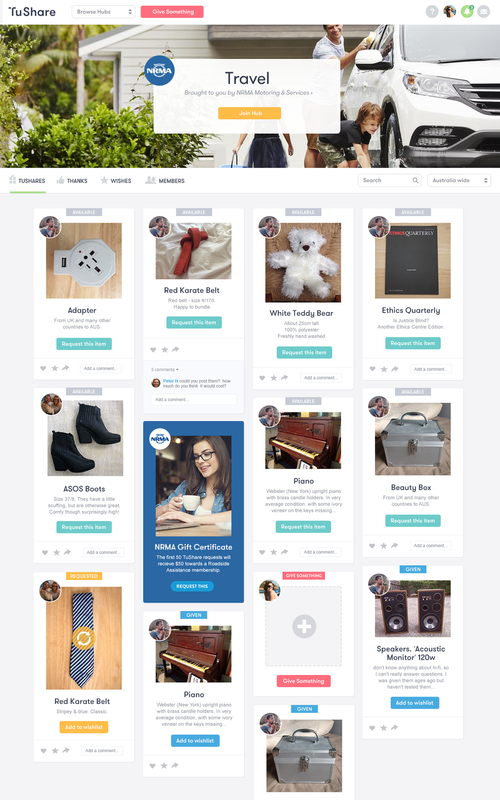 TuShare was an Australian sharing marketplace aimed at giving pre-loved things for free. After an initial bootstrap product grew to almost 50,000 members - or 40,000kg of goods - it was time to harness the momentum and update the experience. 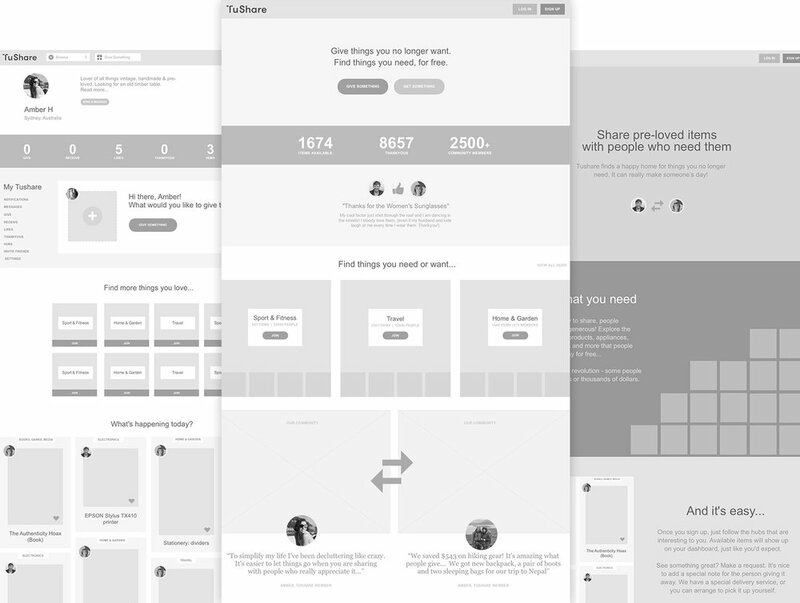 I set to work refining the brand, and developed a design system that would allow the team to build new features, profile tools, and use colour and icons to signify activity. My design activities covered four strategic areas: increasing membership, building the community and positive interactions, triggering more activity and exploring the possibility of branded hubs. As research I actually gave away my boyfriend's car - true story. To ship items to their new home, community members needed a delivery service that was as simple and as joyful as TuShare. Using smart technology, and existing courier infrastructure they built a simple, reliable, affordable delivery service that evolved into today's Sendle.